Residents in the area of Memorial Road and Triple X are planning to attend a public hearing on Thursday of the Oklahoma County Planning Commission to protest a zoning change for a concrete plant. 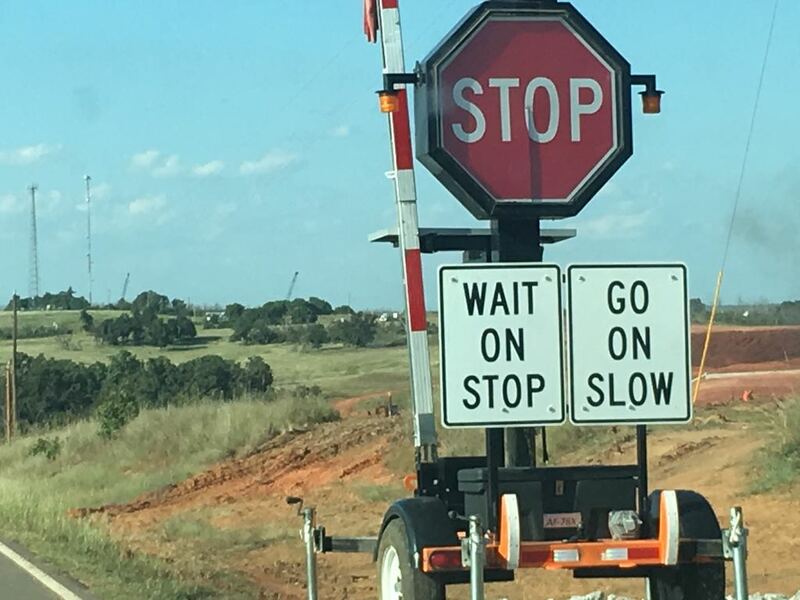 Presumably connected to the construction and anticipated growth connected to the new Eastern Oklahoma County Turnpike, protestors say the construction of the plant will cause disruption, damage the road and present danger for residential motorists. 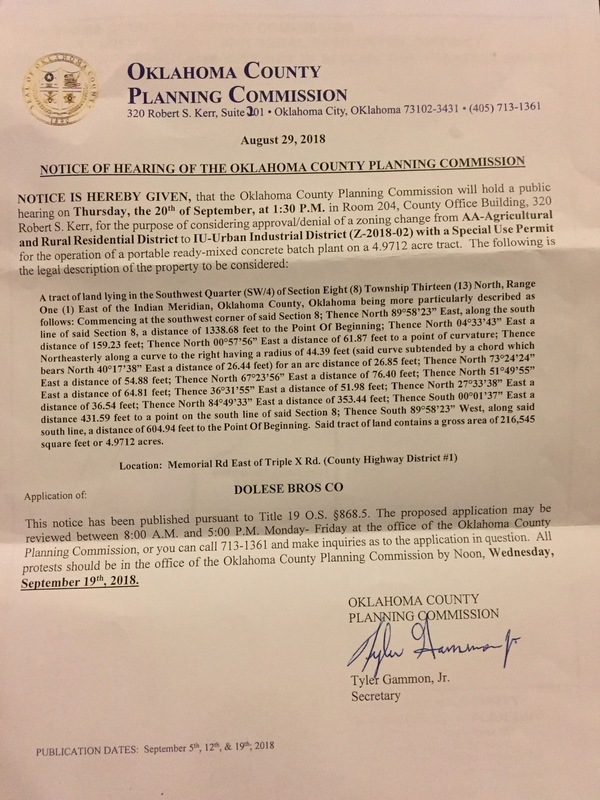 Dolese Bros Co., is seeking the zoning change for a “portable ready-mixed concrete batch plant” on nearly five acres near Memorial and Triple X Roads. Residents in the area of the new turnpike construction contend with detours and road closures. Protestors have a deadline of Noon on Wednesday, September 19, to make their disagreement known before the meeting at 1:30 on September 20, at the Oklahoma County Office Building in downtown Oklahoma City. The area in question is currently zoned as rural residential and agricultural, but the concrete company wants a zoning change as an Urban Industrial District. The proposed location of the plant is to the west of the ongoing construction of the Eastern Oklahoma County Turnpike. 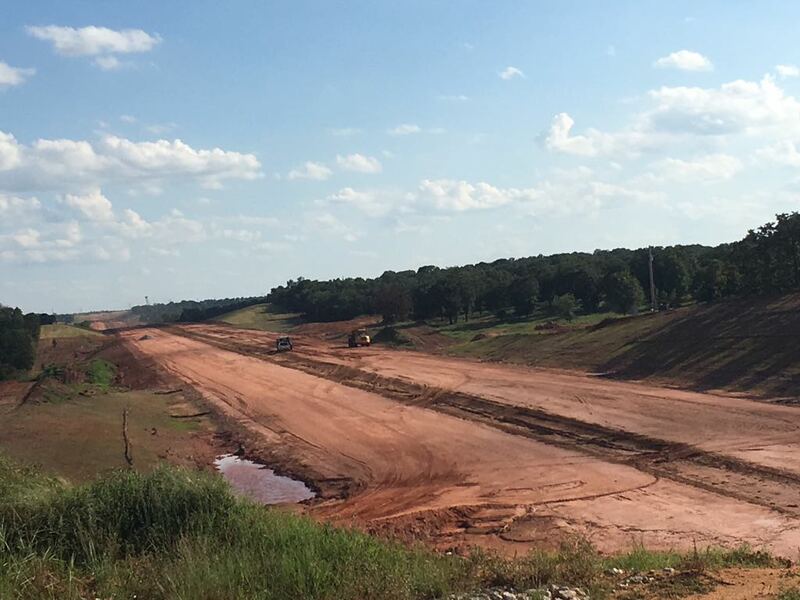 Motorists and residents in the area south of Luther contend with the construction of the new toll road that connects the Turner Turnpike to I-40 that includes large. Sheila Farmer will be among the neighbors at the public meeting. 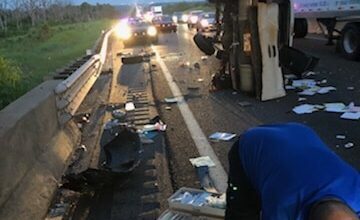 “It is extremely dangerous getting out of Memorial Road Estates. Turning left on Memorial from Last Gravel Road is like taking your life in your own hands,” she said. 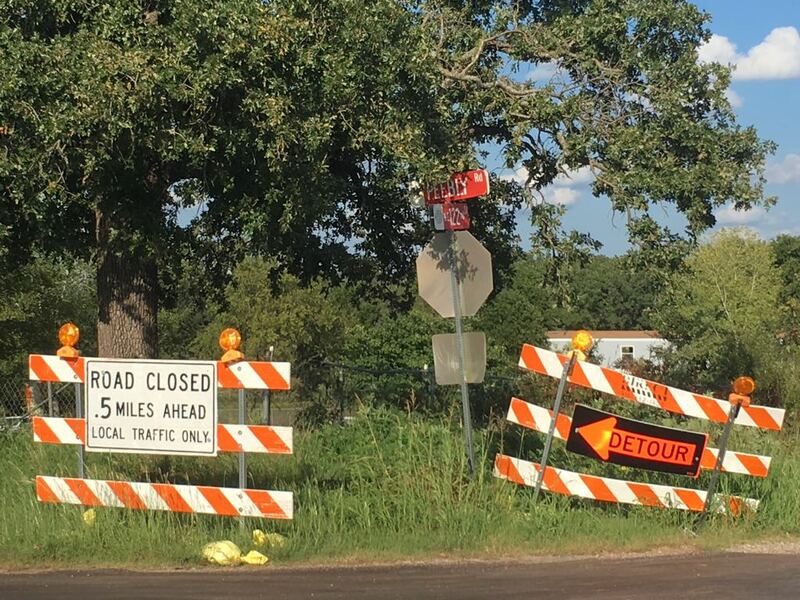 Neighbors are worried about the industrial traffic and deterioration of the road. The Oklahoma County Planning Commission is not expected to take action at the public hearing, but to make a recommendation to the Oklahoma County Commissioners to decide at a later date. Speed limits south on Luther Road are 35 mph with stoppages and heavy equipment crossing the road.